Experience Urban living at its best in EDO (East of Downtown)! 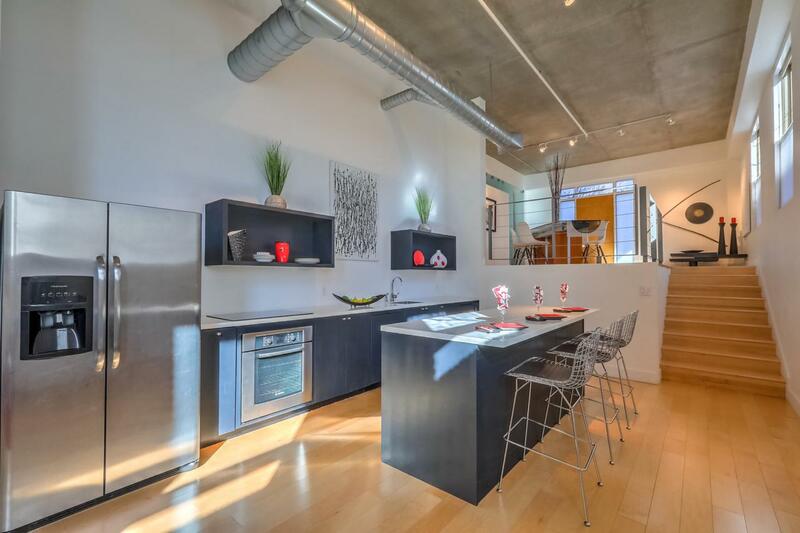 This condo has a private entrance on Arno St at Copper Ave. Sleek modern design w/$70k+ in updated finishes in 2012 feature top of the line Kohler Purist fixtures, Philippe Starck Corian tub, Bosch dishwasher and induction cooktop. Black custom cabinets throughout, maple wood flooring, custom glass doors to master suite and master bath. Tankless water heater. The 152 sq ft 'loft' is BONUS storage space not included is Sq Ft. Secure parking across the street. Investors - note short term rentals possible (3-month min) with specific requirements. Conventional financing EZ for this unit. Come see why loft living is for you!